Bitcoin Millionaire Pro Review, Cloned Bitcoin Millionaire Pro Scam! 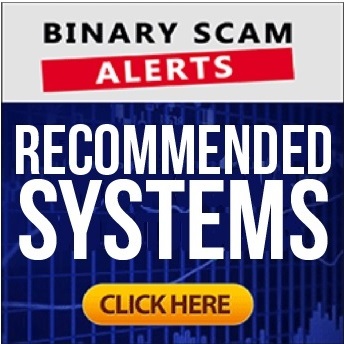 Binary Scam Alerts » Bitcoin Scam Reviews » Bitcoin Millionaire Pro Review, Cloned Bitcoin Millionaire Pro Scam! The Bitcoin Millionaire Pro App, Software, and automated trading robot by the International Council for Bitcoin (Not to be confused with the Bitcoin Millionaire) is a confirmed crypto scam and a Profit Wizard Pro clone. Yes, the cat is out of the bag and we already have some fake reviews by unethical bloggers who are endorsing this fraudulent crypto app and bona fide get-rich-quick scam. It’s no secret that there is a rogue affiliate network generating much hype around fake bitcoin apps designed to steal your money. In fact, these online promoters are operating in cahoots with unlicensed offshore brokers who specialize in binary options and crypto scams. We have stated before that ex-binary options affiliates are diversifying into crypto schemes, and our staff of researchers has produced the proverbial smoking gun and all the proof and evidence you will need in order to understand that you are being deceived, manipulated, and led by the nose by professional and persistent con artists who are up to their old tricks (again). You are a smart person, so you are aware of this problem and conduct your due diligence properly whilst searching the internet for a legit or genuine trading app. Still, despite our repeated warnings it seems the allure of easy money at the click of a mouse is very difficult to ignore. It is for that reason the complaints keep mounting by the dozens and why we have categorically labeled the Bitcoin Millionaire Pro SCAM as a viral and extremely dangerous financial fraud. Keep reading our detailed Bitcoin Millionaire Pro Review and see how we shed light on this dirty little operation and exposed this band of crooks. Below is the main sales page for the Bitcoin Millionaire Pro App SCAM. In it you can see Tai Lopez and Erik Finman who is doing his guru thing and his comments are totally being taken out of context. We will message Tai about Trademark and Copyright infringement and see what he has to say about it. Moving forward, below is the post-registration page for the Bitcoin Millionaire Pro software. In it you can see how the interim or transitional image in the registration form clearly states that you are signing up for Banc De Binary, a notorious binary options broker that was shut down by the SEC. That is all the proof and evidence you will ever need to understand who you are dealing with and why you should hold on to your wallet. If you bought $1,000 worth of Bitcoin back in August 2010 that money would now be worth an estimated $50 Million Dollars. That is how the sales presentation for the Bitcoin Millionaire Pro starts, and boy do they lay it on thick. “Bitcoin is creating more millionaires a day” than any other time in history! Thousands of early adopters like Erik Finman have seen their lives transformed. The sales pitch continues to say that its not a fad, not a bubble, and it’s not going anywhere. You are being “screwd-over” by the media and skeptics, and this has already cost you millions. Even Bill Gates say’s its better than usual currencies! You can’t afford to sit on the side lines while every one else is banking on Bitcoin and making life-changing profits. No experience or knowledge is required, just signup and get started today! According to the sales presentation it is a team of statisticians, analysts, and software developers dedicated to exposing the mathematical truth about bitcoin. This group funds their lifestyle with just a few minutes of work every day. It uses predictive models to constantly check if it is too late to invest and in this way mitigates risk levels. No it is not! You will need to invest at least $250, and that money will be charged to your bank account by thieving offshore brokers who care nothing about your financial welfare and will do their utmost in order to steal your hard-earned money. Is Bitcoin Millionaire Pro SCAM or Not? Yes, it is a 100% confirmed SCAM and there is no doubt about it. It’s a Profit Wizard Pro clone. 1. The app claims to hit profits of $11,665 “overnight”. 2. Algorithmic crypto trading with zero loss and no risk trades. 3. Cryptocurrency trading explanation video for new traders. The ones to watch out for are Crypto Method and Crypto CFD Trader. What we are witnessing here is a sleazy attempt to defraud innocent opportunity seekers. This is a classic crypto scam with all the tell signs clearly evident. We have fake testimonials, inflated bank accounts, hyped up and exaggerated claims of easy money, and outright lies and fabrications. In short, this is a bogus app and cloned software. There are multiple systems being launched on a daily basis and the vast majority of these systems turn out to be fraudulent and designed to generate money for the promoters and NOT you. However, once in a blue moon a legit software is launched and that is when our staff tests it. If it passes our screening process and produces consistent profits, we add it to our recommended section. The Bitcoin Millionaire Pro SCAM by the International Council for Bitcoin is a blacklisted software and thieving crypto app in the guise of a legit automated trading system. Make no mistake about it, if you decide to test the waters and fund a live trading account, you will have your money stolen by ex-binary options brokers that have now diversified into unlicensed Forex and CFDs providers. We have no doubt that the fraud ring operating behind the Bitcoin Millionaire Pro and pulling the strings are heavily involved in other criminal activities such as identity theft, credit card fraud, HYIPs, fake ICO launches, and Ponzi Schemes. In light of the overwhelming proof and evidence our staff has produced, we feel we have no choice but the blacklist the Bitcoin Millionaire Pro scam software and advise our members and viewers to seek alternative investment channels. As always we would like to personally invite you to join our Facebook Group and YouTube Channel and get informed about new scams.